The microchipping technique will help identify if the same turtle has come back to the shore that was being treated in the facility. The turtles were released in the sea after recovery. Mumbai: In a first of its kind initiative in Maharashtra, two Olive Ridley turtles — that were being treated in sea turtle transit centre at Dahanu — were released in the sea after recovery with a microchip implanted in their body. The microchipping technique will help identify if the same turtle has come back to the shore that was being treated in the facility. 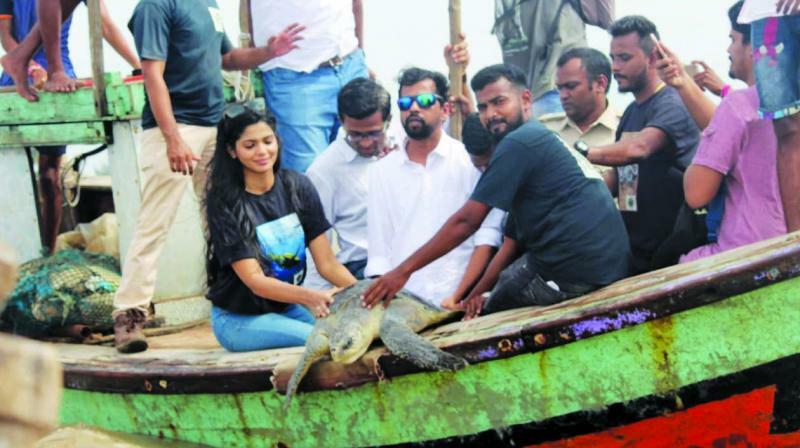 NGO Wildlife Conservation and Animal Welfare Association who runs the sea turtle transit centre in Dahanu along with veterinarian Dr. Dinesh Vinherkar had recently received permission from the state forest department for the initiative. “If the same turtle washes ashore at Dahanu coast or is brought to us from other areas, we can immediately identify by scanning it. If it is the same treated turtle, the prog-ress in the health of it can be determined,” said Dr. Dinesh Vinherkar, wildlife and reptile veterinarian. The Dahanu transit centre at present has 38 sea turtles, mostly Olive Ridley. Volunteers at the transit centre stated that the method of microchip will be implanted into every sea turtle.